The interior space of a dwelle.ing in Manchester. A dwelling is simply defined as ‘a place to live.’ But the unusual spelling employed by architect Ric Frankland for his creations, implies that they’re something out of the ordinary. –And they truly are! Dwelle.ings are small homes, ranging in size from a micro 18 meters squared up to around 114 meters squared. Despite their small footprint, they are surprisingly spacious inside, owing in no small part to Ric’s design expertise. High ceilings and an open concept, give a light and airy feel. Another design feature is plenty of natural light, which adds to the spacious feel and has been proven to to be a healthier environment for individuals. According to an article in Architectural Lighting Magazine, 19 March, 2014, natural light, or ‘daylighting’ as it referred to architecturally, can have a positive effect on individuals’ productivity, mood and health. It also can save a substantial amount on energy costs, since daytime lighting is not needed on most days with an abundance of natural light. Some other advantages included in the design of dwelle.ings, are particularly good for the environment as well as people. 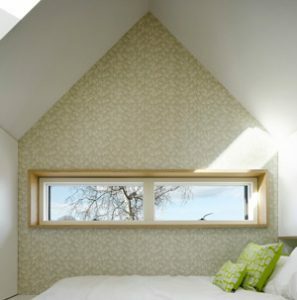 Natural sheep’s wool is used for insulation and the rooms are finished with organic paint colours. The heating is circulated throughout the living space with a mechanical vent with heat recovery, or MVHR. Many modern homes have very little outside ventilation, as the homes today are fairly airtight. MVHR provides clean, fresh air inside the home, which also helps to control the humidity. Homes with high humidity may have a problem with mold, which can lead to an increased number of dust mites that feed on the mold. Dust mites are often the nemesis of those who suffer with allergies, asthma, hay fever and eczema. Dwelle.ings can also be constructed with renewable energy systems, and sustainable systems for waste and water. They are environmentally friendly, both in initial construction and operation. 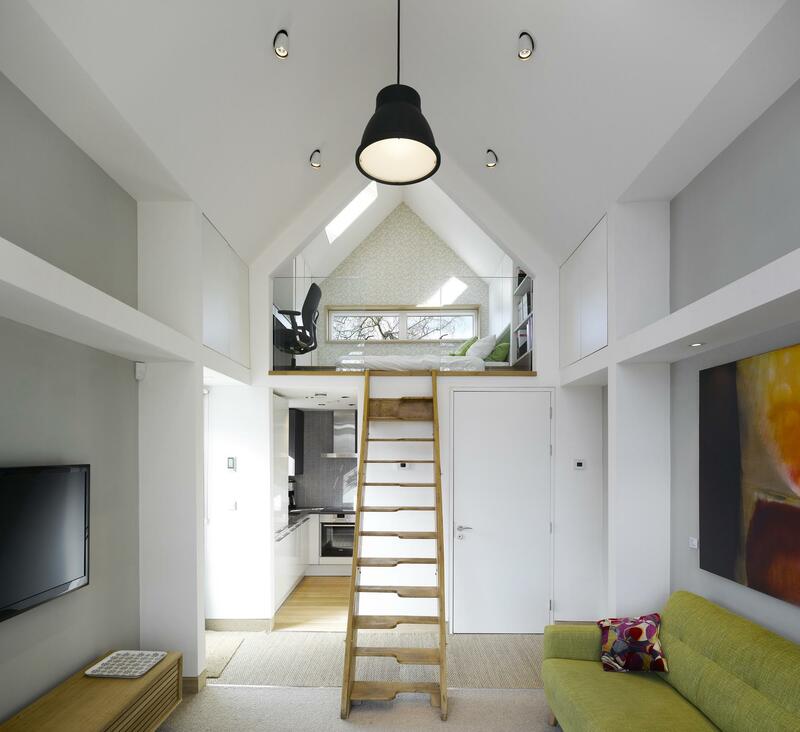 The homes are customisable to a degree. Ric compares the process to the purchase of a Mini Cooper. “When you buy a Mini Cooper, you get great engineering and design, but certain aspects of it are customisable, such as the interior colour, the paint, a stick shift or an automatic, etc.…” In this same way, a potential homeowner can choose certain elements within the design of their dwelle.ing, so that the end result is truly unique to their particular lifestyle and tastes. An extremely important point is that Ric has teamed with a planning consultant, to help ensure that if the homes are used as full-time permanent dwellings, they will meet planning regulations. This is a huge benefit as anyone who has looked into the possibility of building a tiny house will attest. Having professionals who can understand and help navigate the plethora of planning restrictions is invaluable. And if the potential homeowner has qualifying credit, the homes are eligible for financing. Dwelle.ings start at around £50,000. 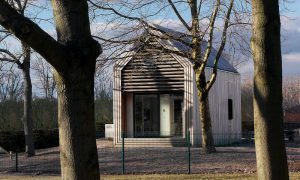 Although not the most inexpensive tiny houses on the market, their price is reflective of the quality and sustainability that is built into each one. “Quality has longevity,” explains Ric. And homes that are more durable and lasting will be easier to obtain financing for, since a lending institution will be more inclined to lend money on a home with lasting value. Ric has designed everything from public buildings to mansions, but he has always been interested in modularization and maintains that quality is more important than space. Part of his design philosophy comes from the Swedish concept of ‘lagom,’ of having just enough in perfect balance. Although having less stuff may not guarantee you happiness, excess will not ensure health and well-being either. “You don’t need big spaces to live well,” Ric adds.